Teatru Astra has just annouced its latest educational initiative, 'Behind the Opera Curtain', a free workshop with directors and soloists from Teatru Astra’s forthcoming production of Nabucco. Aimed at opera lovers, singers and students, the workshop will be held at the Studio Theatre within Teatru Manoel, on Monday 13 October 2014 at 17.30hrs. Artistic Director, Enrico Stinchelli, the Musical Director, Joseph Vella and the lead singers of the forthcoming Nabucco, namely Baritone Piero Terranova, Mezzo-Soprano Olga Sliepnova, Bass Carlo Colombara and local tenor, Cliff Zammit Stevens will be participating in this workshop. 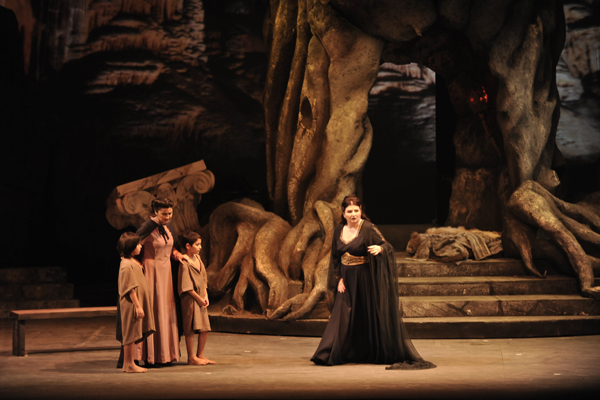 The Artistic Director will talk about operatic stage production in general but with particular reference to NABUCCO. The talk will be illustrated (and followed) by live illustrations from the singers who will sing arias mainly from Nabucco. The Musical Director will also briefly put all the details in context. Gozo’s Teatru Astra opened its doors on the 20th of January 1968. Ten years later, it ventured in the greatest form of stage production: the opera. Giuseppe Verdi’s Rigoletto was first on the list, sucessfully followed by Il Barbiere di Siviglia, Aida, Lucia di Lammermoor, L’Elisir D’Amore, Norma, La Traviata, La Forza Del Destino, Nabucco, Turandot, Il Trovatore, Macbeth, at which renowned Maltese tenor Joseph Calleja made his operatic debut, again Rigoletto and Aida, La Gioconda, Madama Butterfly, Un Ballo In Maschera, Otello, Tosca, La Boheme, Suor Angelica, Cavalleria Rusticana, Pagliacci, and again Macbeth, Turandot, Rigoletto, La Traviata, Norma, Madama Butterfly and Otello. Opera at the Astra enjoys a well-established tradition of excellence, with the engagement of an internationally renowned cast, a fantastic resident opera chorus, imposing sets and scenery, outstanding costumes and a spectacular of lights. Among the world-class soloists who performed at operatic nights at the Astra one would find Ghena Dimitrova, Pamela Kucenic, Adelaide Negri, Nicola Rossi-Lemeni, Aldo Protti, Mark Rucker, Rumen Doikov, Giuseppe Giacomini, compatriot Miriam Cauchi, Dimitra Theodossiou, Antonino Interisano, Daniela Dessì and Fabio Armiliato. In 1997 Teatru Astra launched Joseph Calleja to the world, during the interpretation of Macduff in Macbeth in 1997 directed by Mro Joseph Vella. This year’s Nabucco will feature another formidable cast of solo singers: baritone Piero Terranova in the title role, soprano Silvia dalla Benetta in the role of Abigaille, world-famours bass Carlo Colombara in the role of Zaccaria, Olga Sliepnova interprets the role of Fenena, while Maltese tenor Cliff Zammit-Stevens, who will be making his operatic debut in a leading role, sings Ismaele. The musical director is Professor Joseph Vella, while the artistic direction has, once again, been entrusted to Enrico Stinchelli. Nabucco is part of the thirteen edition of Festival Mediterranea, a unique endeavour and the only festival of its kind on the Maltese islands, combining high culture with the production of an Italian opera in conjunction with traditional fare. 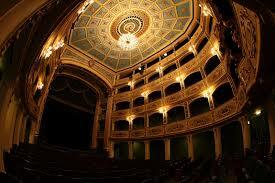 The workshop at the Manoel Theatre is supported by Bank of Valletta. The festival website www.mediterranea.com.mt.will carries all the latest updates on the opera and festival.